WARNING: This video may potentially trigger seizures for people with photosensitive epilepsy. "The digital world is consuming a bigger and bigger part of our lives and the fear of missing out is getting stronger. The human race isn't capable to restrain herself and gets flooded by the stream of digital information. There is only one solution, locking down the cyber sea." In this work I succeeded in constraining the sea of digital information. But it does not like to be locked up in a digital cage. Hear and see it struggle to break free, but eventually gives in and loose the fight. 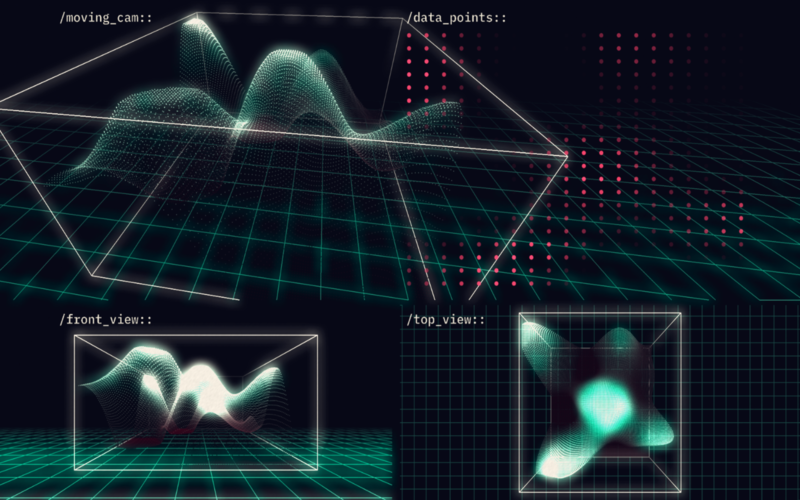 This is an audio-visual composition entirely programmed in Max7 with Jitter and OpenGL. Manipulating the jit.bfg in time to generate a matrix that is post processed by various effects such as brightness and contrast. This matrix is used as amplitude values for an FFT. The input for the FFT is noise combined with a ring-modulated subtractive synthesis of a saw and frequencyshifted rectangle wave.